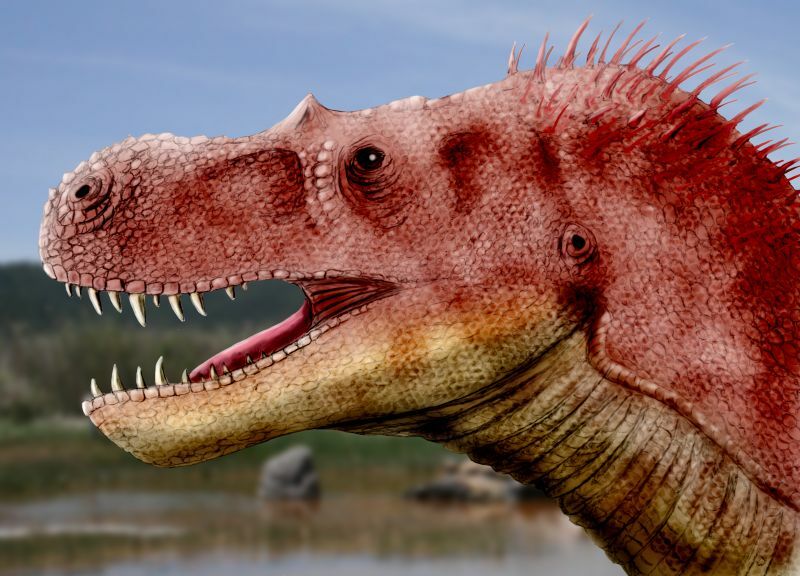 Teratophoneus, a cousin of Tyrannosaurus, was the largest predatory dinosaur in southern Utah at that time. Image by Nobu Tamura, CC-BY-SA 3.0. 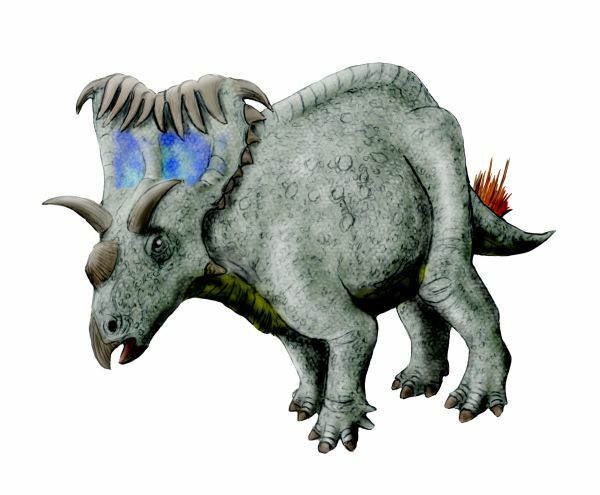 The many-horned Kosmoceratops was a plant-eater, a member of the same group including Triceratops. Image by Nobu Tamura, CC-BY-SA 3.0. 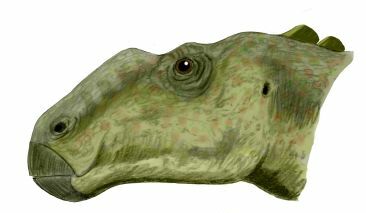 Gryposaurus was a duck-billed dinosaur just like “Joe”, but a member of a group that mostly lacked elaborate crests on top of their heads. Image by Nobu Tamura, CC-BY-SA 3.0. 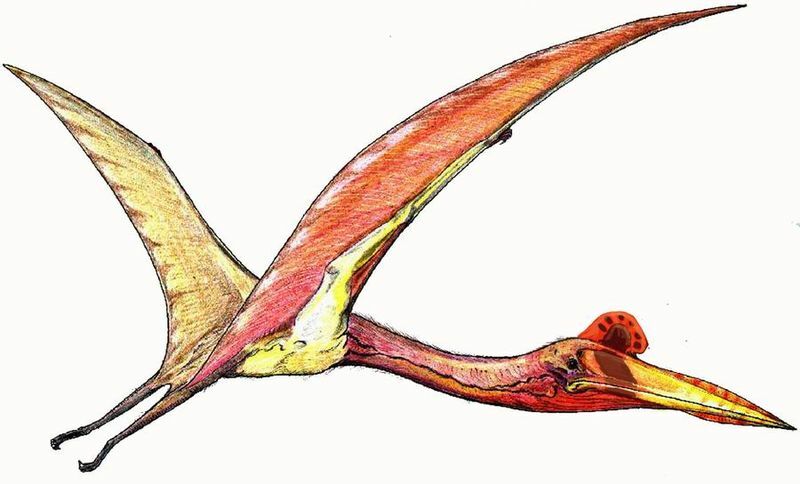 Flying reptiles winged their way through the skies; because their bones are so fragile, few specimens are known from the Kaiparowits Formation. Image by Dmitry Bogdanov, in public domain.